CMC 101: What is it and why should I care? 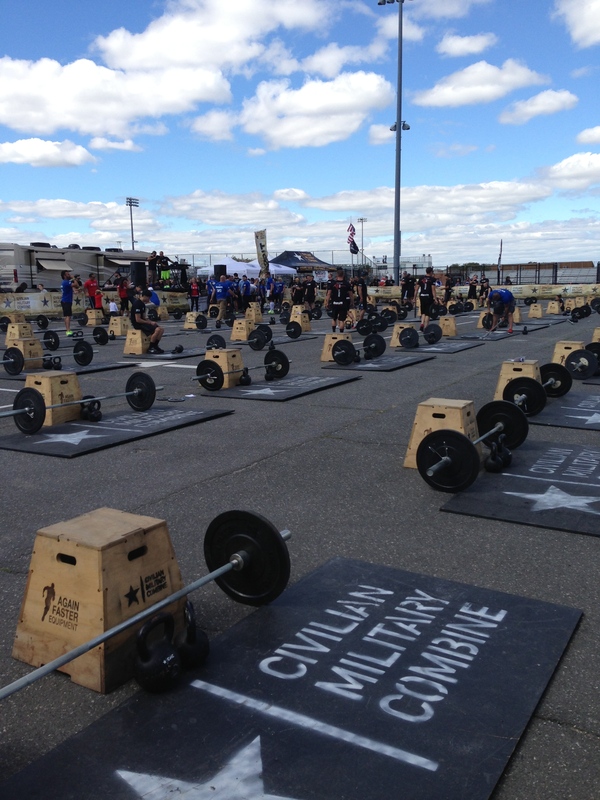 WHAT THE HECK IS THE CIVILIAN MILITARY COMBINE? 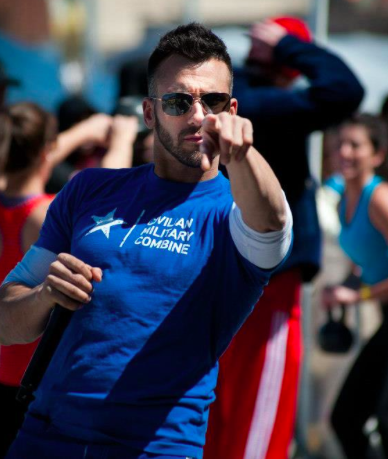 So, you’re thinking about joining our team for the Civilian Military Combine, but you’re still not quite sure what it entails. Well, beyond encouraging you to visit the CMC website and watch their awesome pump up video, we figured it was about time we wrote a post about it. 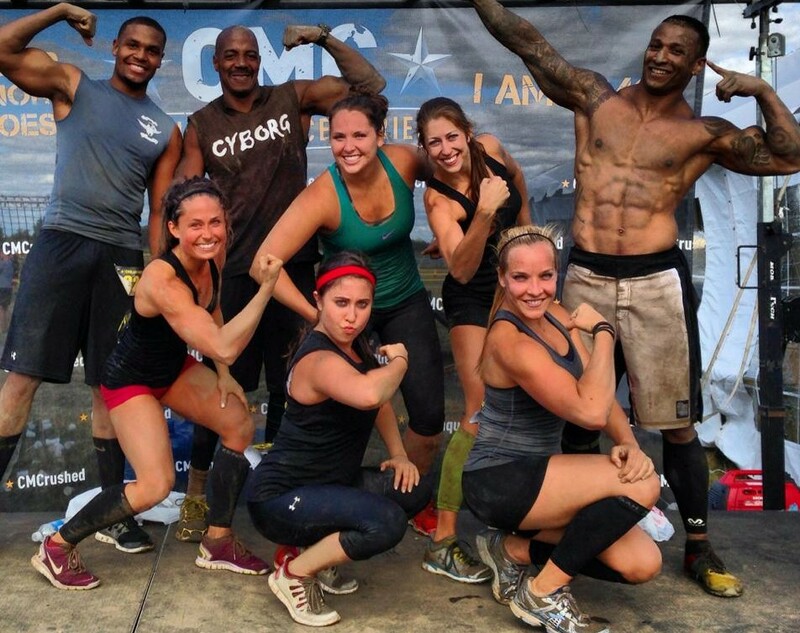 To give you the quick and dirty version, the CMC is a combination of a short, high intensity workout, known as “the Pit”, immediately followed by a 4+ mile race packed with military-inspired obstacles – climbing walls, crawling through mud, pushing sleds – that kind of stuff. The race was co-founded in 2010 by Matt Keller and Sean Rogers, two former college roommates. 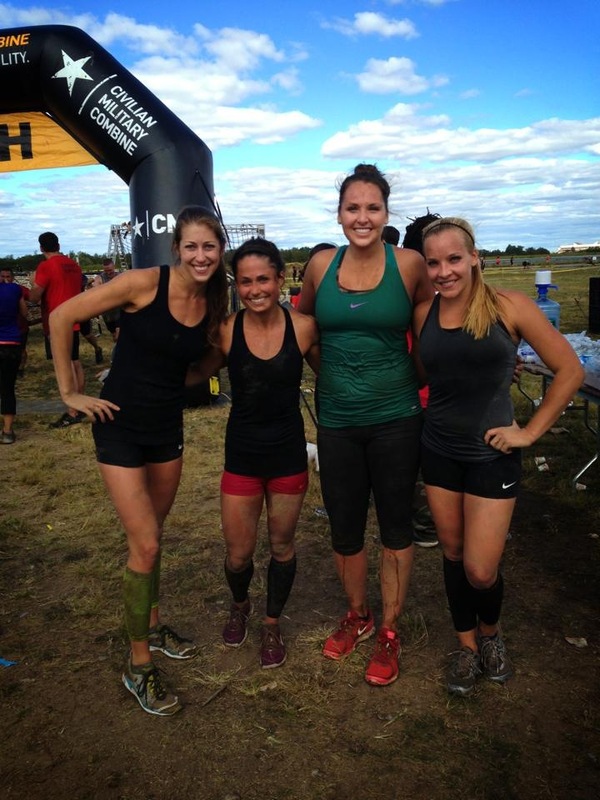 As mud races gained popularity, they participated in their fair share, and while they had a blast doing them, they felt there was an element missing. They wanted to add a piece that would require athletes not only to excel in speed and endurance, but also strength and power – enter: The Pit. Moreover, Matt and Sean both have close military ties, and they wanted a way to bring both civilians and military together to raise awareness and honor those who have or are currently serving. Thus, the Civilian Military Combine was born. 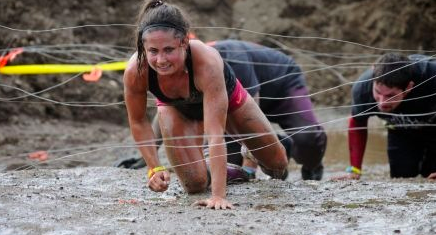 HOW IS THE CMC DIFFERENT FROM ALL THESE OTHER MUD RACES THAT I HEAR ABOUT? Two words: The Pit. The Pit is the revolutionary piece that is completely unique to CMC. No other race has anything like it. 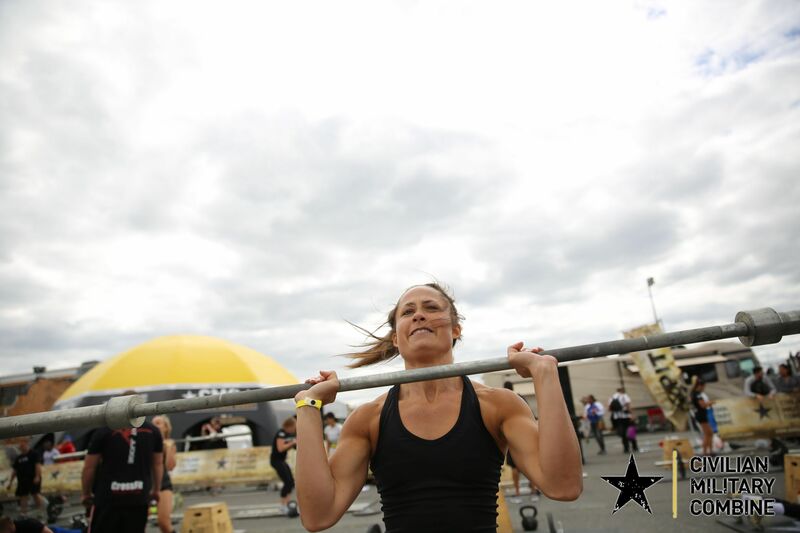 The combination of the Pit and obstacle course has attracted thousands of hybrid athletes that do not specialize in one aspect of fitness, but aim to excel across the board – from power and strength to endurance, agility and speed. In other words, being well-rounded instead of specialized works to your advantage here. Another cool thing about the CMC is that 80% of participants register as part of a team. This doesn’t mean that you have to remain with your team throughout the entire race (yes, I know some of you are super competitive), but you all enter the Pit in the same heat and start the race together, and let me tell you that knowing you’re surrounded by a team of your biggest supporters as you walk into the Pit is HUGE! WHERE DOES A2A/POWERCAKES COME INTO THE PICTURE? His enthusiasm for CMC was infectious, and we could tell right away that this is going to be a huge year for them, and that we wanted to be a part of it. 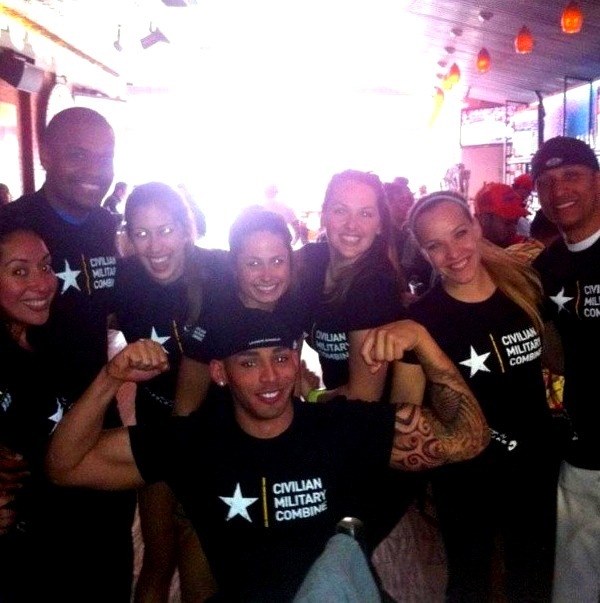 As we began putting a game plan together and reaching out to people about joining our team, we thought of our good friend, Kasey, AKA of Powercakes, and thought, why not team up with another fitness powerhouse, create a super team and race the CMC together?! HAVE YOU RACED A CMC BEFORE? WHAT WAS IT LIKE? We were introduced to the CMC a year ago, by our good friend and trainer, Dennys, and signed up for our very first race in New York City last April. We weren’t really sure how to train, so we just continued working out like we normally do and threw in a “Pit Practice” once a week. It was a FREEZING cold spring morning and 7 minutes of the Pit left everyone sounding like avid smokers, but we powered through, pain faces included. 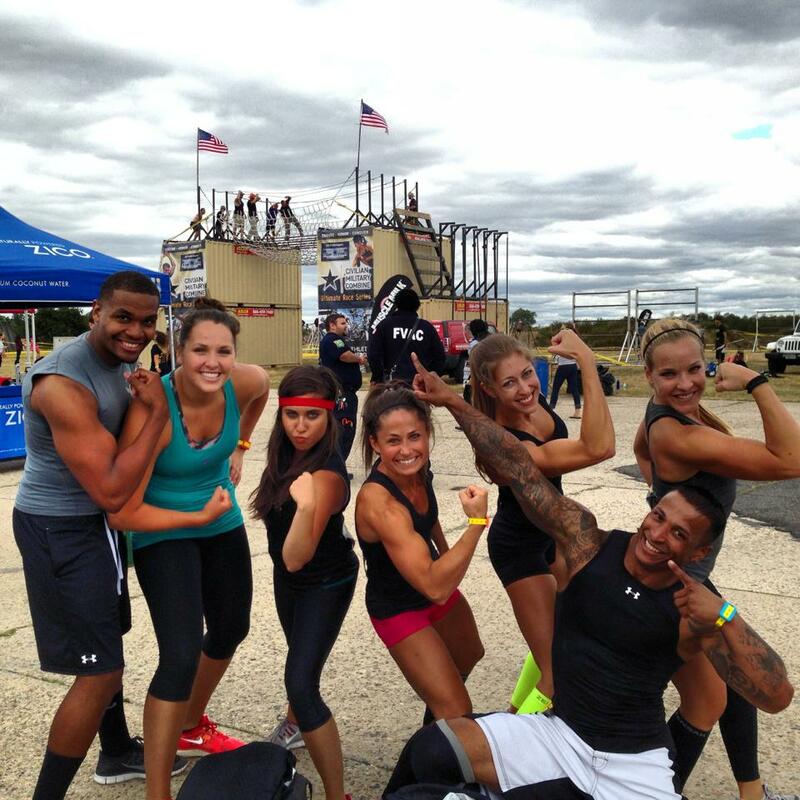 The obstacle race for this one was short and sweet, just like we like it! A prowler push immediately followed by a sandbag carry up a gazillion flight of stairs, a few walls, farmers carry, cargo net rolls, and BOOM, we were done! September rolled around and we were stronger, faster and ready to rock. It was a much nicer day, and the atmosphere at the venue was infectious. 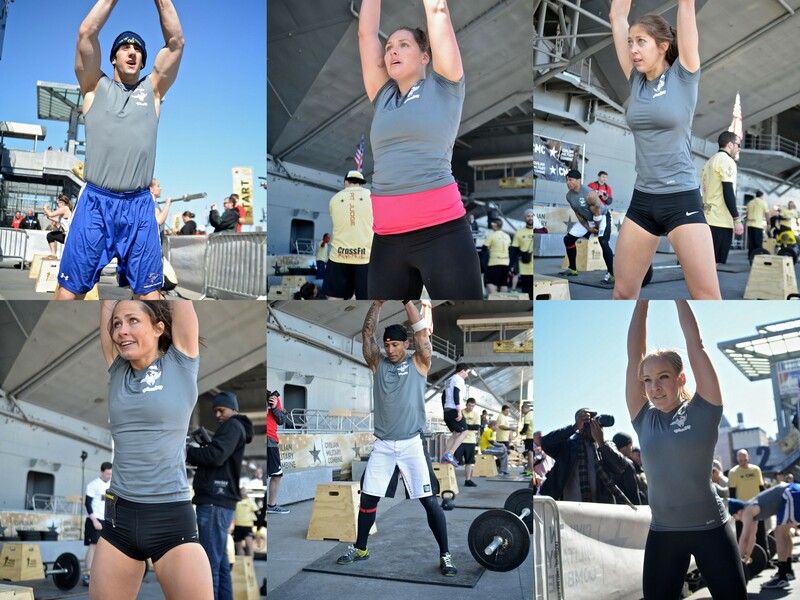 There were dozens of teams getting amped up to compete – from gyms, Crossfit boxes, and random groups of friends. The energy was pretty incredible. As they called our team into the Pit, we each jogged to our stations, where our judges introduced themselves and reviewed each of the movement standards with us. As the countdown began – 3, 2, 1…GO!, the butterflies in our stomaches were in full force, and we once again why the heck we signed up for this. Once we started though, adrenaline kicked in, we found our own grooves and we kept pushing. Each time we wanted to stop and just lay there on the ground and catch our breath, we told ourselves, it’s only 7 minutes! You can do anything for 7 minutes! Plus, our judges were super encouraging and kept telling us what a great pace we were keeping, which helped a ton. Julia ended up going well beyond her expectations, outperforming her April performance by a long shot with 161 reps! 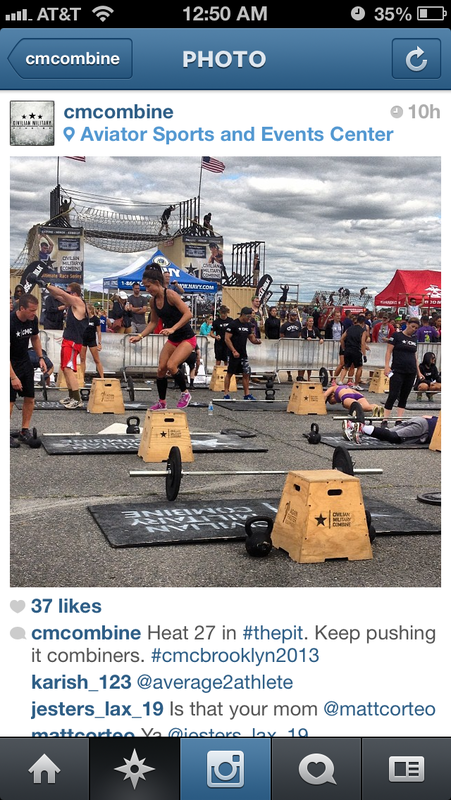 Kayte rock in with 153 – a solid performance by average2athlete and our entire team! We then had about 2 minutes to recover before we were sent off into the obstacle race. The beginning was a nice jog, which most of us used as active recovery as we were still coming down from the Pit. 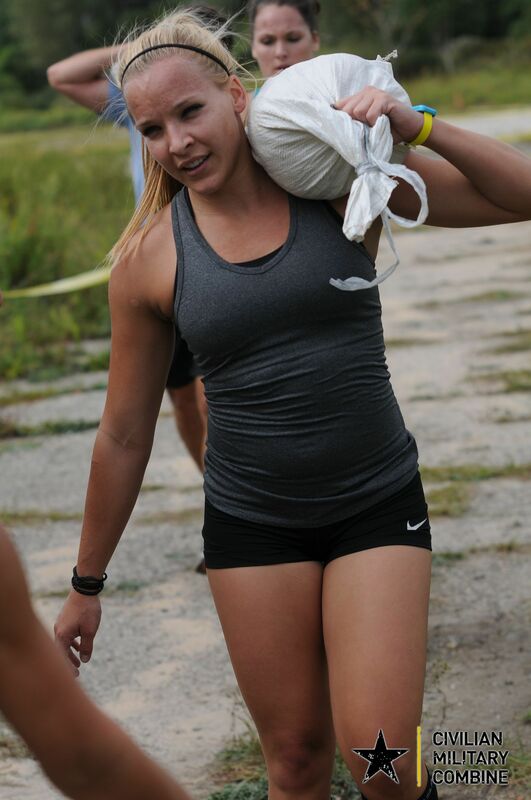 We were then faced with about 3 miles of obstacles, from hopping over walls to crawling through mud, climbing cargo nets and pushing heavy sleds. It seemed to fly by because we were having so much fun. Even though our entire team got separated during the course, we were surrounded the entire time by athletes who were in the same boat, facing one obstacle at a time, helping each other over walls and coaching each other along the way. Crossing the finish line was a great feeling, especially knowing we had a cold beer waiting for us, but the best part was watching the other athletes coming through and seeing the combined look of pride, relief, and exuberance on each and every person’s face. Pretty awesome. We can’t wait to race again this year – not to compete, but to run alongside our teammates as they get to take part in this same incredible experience. 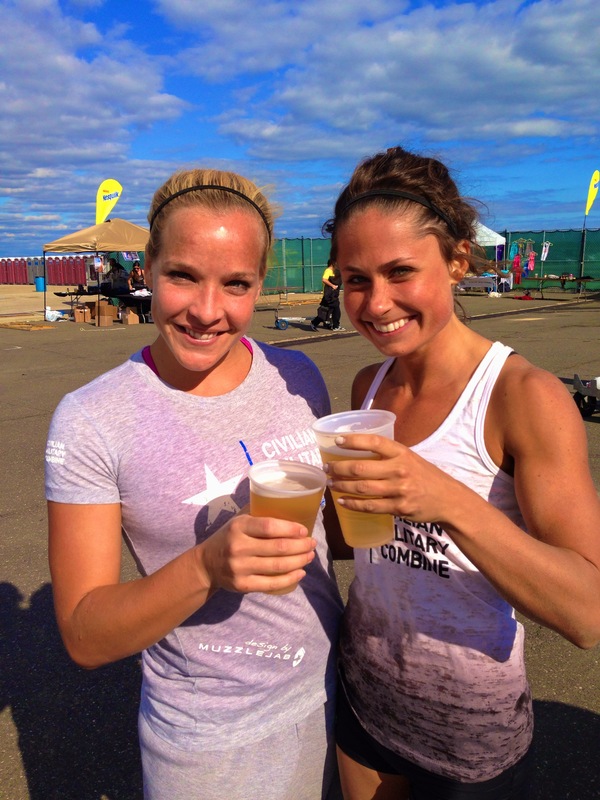 And of course, to enjoy a post-race beer with a bunch of awesome athletes! OK, I THINK I’M INTERESTED…BUT WILL I BE ABLE TO HANDLE IT? HOW DO I TRAIN? Don’t worry, we have you covered! 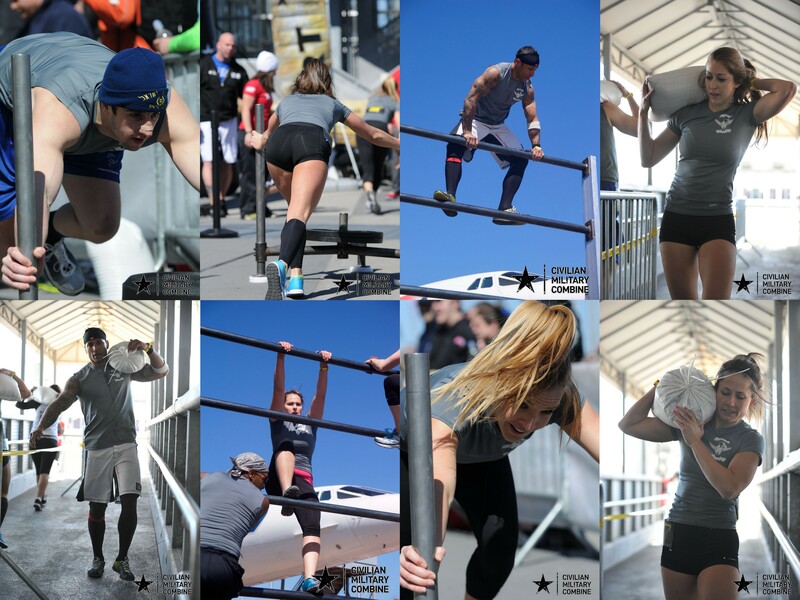 To start, this year’s Pit includes 4 different variations of increasing difficulty, so that any athlete can participate, regardless of their fitness level or limitations. The folks at CMC will be posting videos with the movement standards for Alpha, Bravo, Charlie and Delta very soon, so stay tuned. a2aWOW: Those of you who follow us on Instagram may have noticed that for the past several weeks, we’ve been posting workouts that people can do at home, requiring little to no equipment. These are typically meant to increase “metabolic conditioning” – aka get you read for the Pit. So take a look and start doing these if you haven’t already. Training Program: Taking the a2aWOW a step further, we’re going to be creating a training program for you guys. We’ll put together a calendar that will most likely include a day for the a2aWOW, a day to practice the Pit, a day of strength exercises (designed to increase your pulling strength for things like climbing over walls) and an endurance day, to help you conquer the obstacle course. Be on the lookout for this to appear mid-March! CMC Meet-ups: CMC will be hosting a series of meet-ups throughout the New York area, which will give participants the opportunity to practice the Pit and meet others who are doing the race. We will be attending several of these, and will let you know the exact dates and times. a2a-Powercakes Team Meet-ups: We will also be hosting our own meet-ups and will keep you informed via social media on dates/times. High Intensity Training – Learning how to push your body to maximum capacity and increasing that threshold is going to be the biggest factor in training for the CMC. Whether you are following our workouts, training on your own or with a trainer, taking classes or CrossFitting, high intensity training is key. THIS BLOG POST WAS SO CONVINCING, I’M IN! WHAT DO I DO NEXT? It’s pretty simple – all you have to do is follow this link to our team page and SIGN UP!!! Use the code CMC20 for $20 off. And stay tuned for more updates! 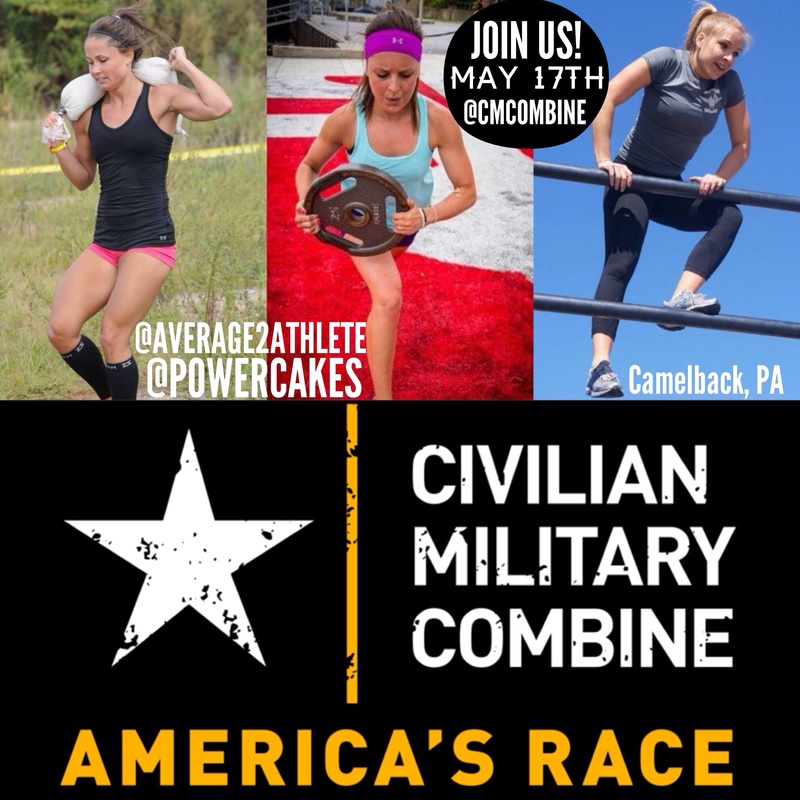 This entry was posted in Uncategorized and tagged a2achallenge, Civilian Military Combine, CMC, competition, Julia, Kayte, obstacle course, obstacle race, performance training, workout. Bookmark the permalink. ← Join the average2athlete-Powercakes Super Team!